Nottingham Steel Supplies is a leading supplier of steel products and steel fabrication services in the East Midlands area. Working from our base in Colwick, Nottingham, we supply steel to construction projects across Nottinghamshire, Derbyshire and Leicestershire. We have been established for over 20 years, built upon a foundation of excellent quality and service and unrivalled expertise of steel. We’re able to lead the way when it comes to delivery times and our steel fabrication service is second to none. Nottingham Steel Supplies are the largest independent steel supplier in Nottingham and we hold a large collection of stock, meaning you will be able to keep your project on-track with a next day delivery service or same day collection on the majority of our steel products. We’re proud of the fact that our staff are experts in steel and are able to offer friendly, helpful advice on any project that you are undertaking. If you require assistance you can call us on 0115 940 4949. 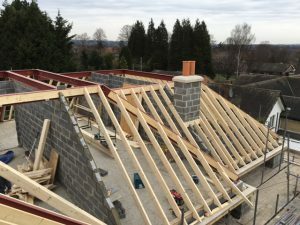 We offer everything from universal beams and universal columns which are essential for the construction of buildings right through to supplies for smaller building projects such as plates, hollow sections and angles. Everything that we offer comes with market-leading customer service and expertise as standard and turnaround times to fit around your projects. If you need a steel supplier or a steel fabricator, there’s no better option than Nottingham Steel Supplies. Call us today on 0115 940 4949.